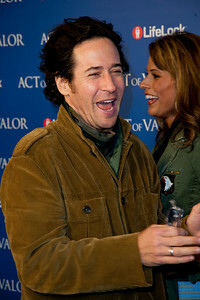 The premiere of Relativity Media's 'Act Of Valor' held at ArcLight Cinemas on February 13, 2012 in Hollywood, California. 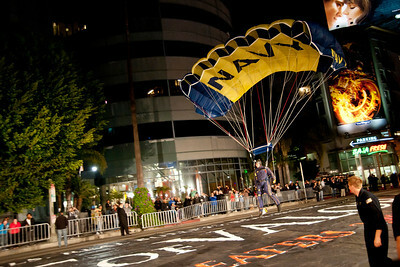 HOLLYWOOD, CA - FEBRUARY 13: Atmosphere at the premiere of Relativity Media's 'Act Of Valor' held at ArcLight Cinemas on February 13, 2012 in Hollywood, California. 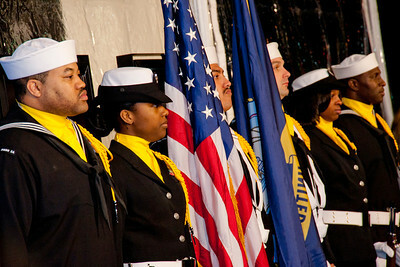 Photo taken by Tom Sorensen/Moovieboy Pictures. 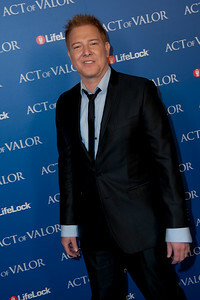 HOLLYWOOD, CA - FEBRUARY 13: Relativity Media CEO Ryan Kavanaugh arrives at the premiere of Relativity Media's 'Act Of Valor' held at ArcLight Cinemas on February 13, 2012 in Hollywood, California. 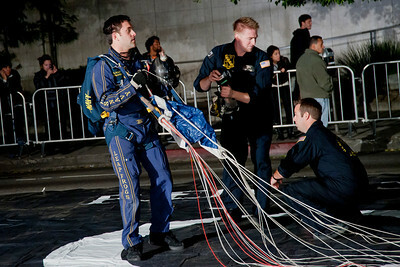 Photo taken by Tom Sorensen/Moovieboy Pictures. 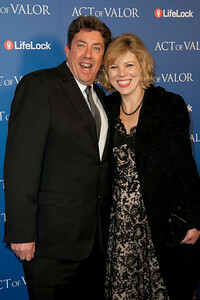 HOLLYWOOD, CA - FEBRUARY 13: Director of Photography Shane Hurlbut and his wife Lydia arrive at the premiere of Relativity Media's 'Act Of Valor' held at ArcLight Cinemas on February 13, 2012 in Hollywood, California. 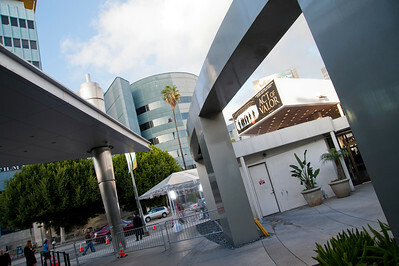 Photo taken by Tom Sorensen/Moovieboy Pictures. HOLLYWOOD, CA - FEBRUARY 13: Kirk Hammett of Metallica and his wife Lani arrive at the premiere of Relativity Media's 'Act Of Valor' held at ArcLight Cinemas on February 13, 2012 in Hollywood, California. Photo taken by Tom Sorensen/Moovieboy Pictures. HOLLYWOOD, CA - FEBRUARY 13: Actress Roselyn Sanchez arrives at the premiere of Relativity Media's 'Act Of Valor' held at ArcLight Cinemas on February 13, 2012 in Hollywood, California. Photo taken by Tom Sorensen/Moovieboy Pictures. HOLLYWOOD, CA - FEBRUARY 13: Actor Alex Veadov arrives at the premiere of Relativity Media's 'Act Of Valor' held at ArcLight Cinemas on February 13, 2012 in Hollywood, California. Photo taken by Tom Sorensen/Moovieboy Pictures. 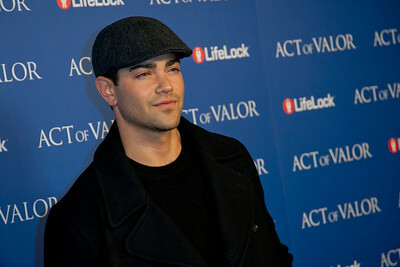 HOLLYWOOD, CA - FEBRUARY 13: Actor Jesse Metcalfe arrives at the premiere of Relativity Media's 'Act Of Valor' held at ArcLight Cinemas on February 13, 2012 in Hollywood, California. Photo taken by Tom Sorensen/Moovieboy Pictures. 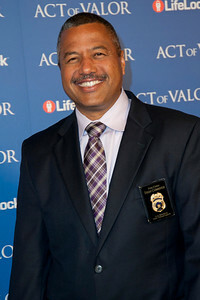 HOLLYWOOD, CA - FEBRUARY 13: Los Angeles Fire Department Fire Chief Brian Cummings arrives at the premiere of Relativity Media's 'Act Of Valor' held at ArcLight Cinemas on February 13, 2012 in Hollywood, California. Photo taken by Tom Sorensen/Moovieboy Pictures. HOLLYWOOD, CA - FEBRUARY 13: Actress Courtney Hansen arrives at the premiere of Relativity Media's 'Act Of Valor' held at ArcLight Cinemas on February 13, 2012 in Hollywood, California. Photo taken by Tom Sorensen/Moovieboy Pictures. 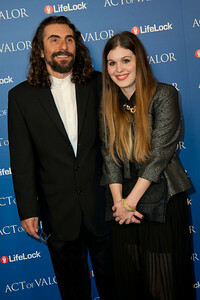 HOLLYWOOD, CA - FEBRUARY 13: Actor Nestor Serrano and actress Debbie Ross arrive at the premiere of Relativity Media's 'Act Of Valor' held at ArcLight Cinemas on February 13, 2012 in Hollywood, California. Photo taken by Tom Sorensen/Moovieboy Pictures. HOLLYWOOD, CA - FEBRUARY 13: Director Mike 'Mouse' McCoy and wife arrive at the premiere of Relativity Media's 'Act Of Valor' held at ArcLight Cinemas on February 13, 2012 in Hollywood, California. Photo taken by Tom Sorensen/Moovieboy Pictures. 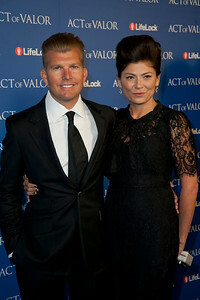 HOLLYWOOD, CA - FEBRUARY 13: Director Scott Waugh and wife arrive at the premiere of Relativity Media's 'Act Of Valor' held at ArcLight Cinemas on February 13, 2012 in Hollywood, California. Photo taken by Tom Sorensen/Moovieboy Pictures. HOLLYWOOD, CA - FEBRUARY 13: Directors Mike 'Mouse' McCoy and Scott Waugh arrive at the premiere of Relativity Media's 'Act Of Valor' held at ArcLight Cinemas on February 13, 2012 in Hollywood, California. Photo taken by Tom Sorensen/Moovieboy Pictures. 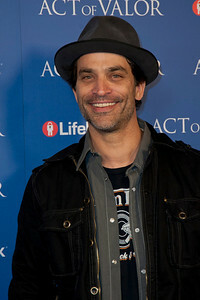 HOLLYWOOD, CA - FEBRUARY 13: Actor Johnathon Schaech arrives at the premiere of Relativity Media's 'Act Of Valor' held at ArcLight Cinemas on February 13, 2012 in Hollywood, California. Photo taken by Tom Sorensen/Moovieboy Pictures. 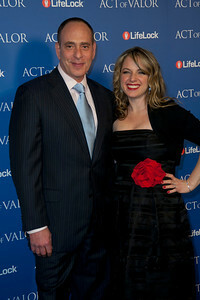 HOLLYWOOD, CA - FEBRUARY 13: Relativity Media CEO Ryan Kavanaugh and his wife Britta Lazenga arrive at the premiere of Relativity Media's 'Act Of Valor' held at ArcLight Cinemas on February 13, 2012 in Hollywood, California. Photo taken by Tom Sorensen/Moovieboy Pictures. HOLLYWOOD, CA - FEBRUARY 13: Actor Gonzalo Menendez and guest arrive at the premiere of Relativity Media's 'Act Of Valor' held at ArcLight Cinemas on February 13, 2012 in Hollywood, California. Photo taken by Tom Sorensen/Moovieboy Pictures. 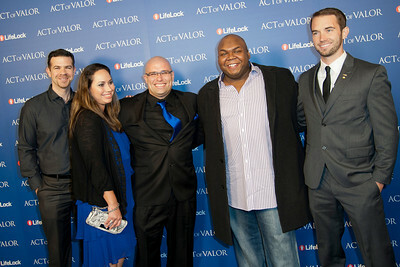 HOLLYWOOD, CA - FEBRUARY 13: Miller High Life spokesperson Windell Middlebrooks and guest military veterans arrive at the premiere of Relativity Media's 'Act Of Valor' held at ArcLight Cinemas on February 13, 2012 in Hollywood, California. Photo taken by Tom Sorensen/Moovieboy Pictures. 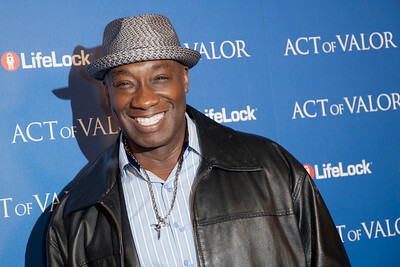 HOLLYWOOD, CA - FEBRUARY 13: Actor Michael Clarke Duncan arrives at the premiere of Relativity Media's 'Act Of Valor' held at ArcLight Cinemas on February 13, 2012 in Hollywood, California. Photo taken by Tom Sorensen/Moovieboy Pictures. 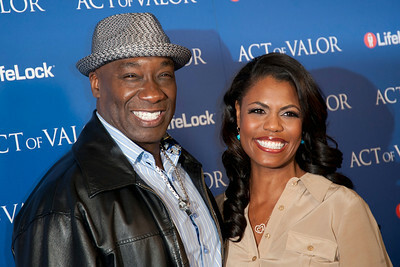 HOLLYWOOD, CA - FEBRUARY 13: Actor Michael Clarke Duncan and TV personality Omarosa Manigault-Stallworth arrive at the premiere of Relativity Media's 'Act Of Valor' held at ArcLight Cinemas on February 13, 2012 in Hollywood, California. Photo taken by Tom Sorensen/Moovieboy Pictures. HOLLYWOOD, CA - FEBRUARY 13: Actor David Henrie arrives at the premiere of Relativity Media's 'Act Of Valor' held at ArcLight Cinemas on February 13, 2012 in Hollywood, California. Photo taken by Tom Sorensen/Moovieboy Pictures. HOLLYWOOD, CA - FEBRUARY 13: Actress Estella Warren arrives at the premiere of Relativity Media's 'Act Of Valor' held at ArcLight Cinemas on February 13, 2012 in Hollywood, California. Photo taken by Tom Sorensen/Moovieboy Pictures. 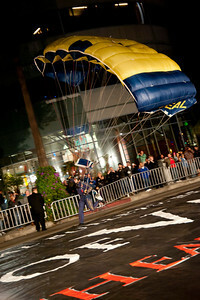 HOLLYWOOD, CA - FEBRUARY 13: U.S. Navy Parachute Team/Leap Frogs member parachutes onto Sunset Blvd. 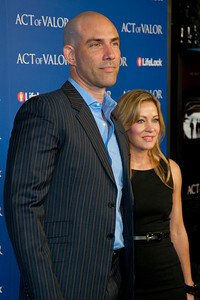 at the premiere of Relativity Media's 'Act Of Valor' held at ArcLight Cinemas on February 13, 2012 in Hollywood, California. Photo taken by Tom Sorensen/Moovieboy Pictures. 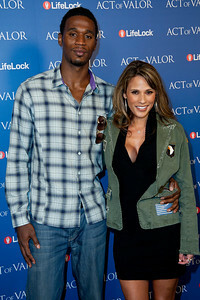 HOLLYWOOD, CA - FEBRUARY 13: Former NBA player Kareem Rush (L) and actress Bonnie Jill Laflin arrive at the premiere of Relativity Media's 'Act Of Valor' held at ArcLight Cinemas on February 13, 2012 in Hollywood, California. Photo taken by Tom Sorensen/Moovieboy Pictures. HOLLYWOOD, CA - FEBRUARY 13: Actress Bonnie Jill Laflin arrives at the premiere of Relativity Media's 'Act Of Valor' held at ArcLight Cinemas on February 13, 2012 in Hollywood, California. Photo taken by Tom Sorensen/Moovieboy Pictures. 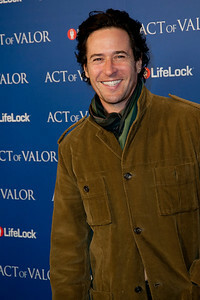 HOLLYWOOD, CA - FEBRUARY 13: Actor Rob Morrow arrives at the premiere of Relativity Media's 'Act Of Valor' held at ArcLight Cinemas on February 13, 2012 in Hollywood, California. Photo taken by Tom Sorensen/Moovieboy Pictures. 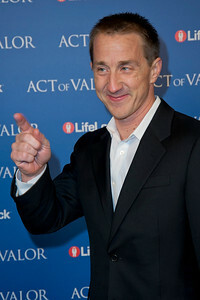 HOLLYWOOD, CA - FEBRUARY 13: Writer Kurt Johnstad arrives at the premiere of Relativity Media's 'Act Of Valor' held at ArcLight Cinemas on February 13, 2012 in Hollywood, California. Photo taken by Tom Sorensen/Moovieboy Pictures. 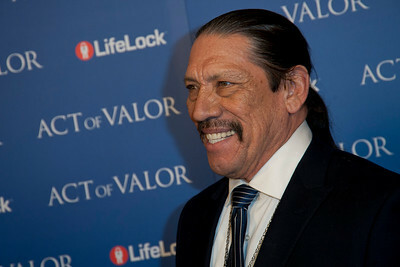 HOLLYWOOD, CA - FEBRUARY 13: Actor Danny Trejo arrives at the premiere of Relativity Media's 'Act Of Valor' held at ArcLight Cinemas on February 13, 2012 in Hollywood, California. 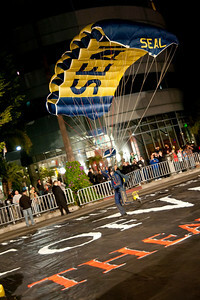 Photo taken by Tom Sorensen/Moovieboy Pictures.